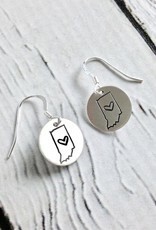 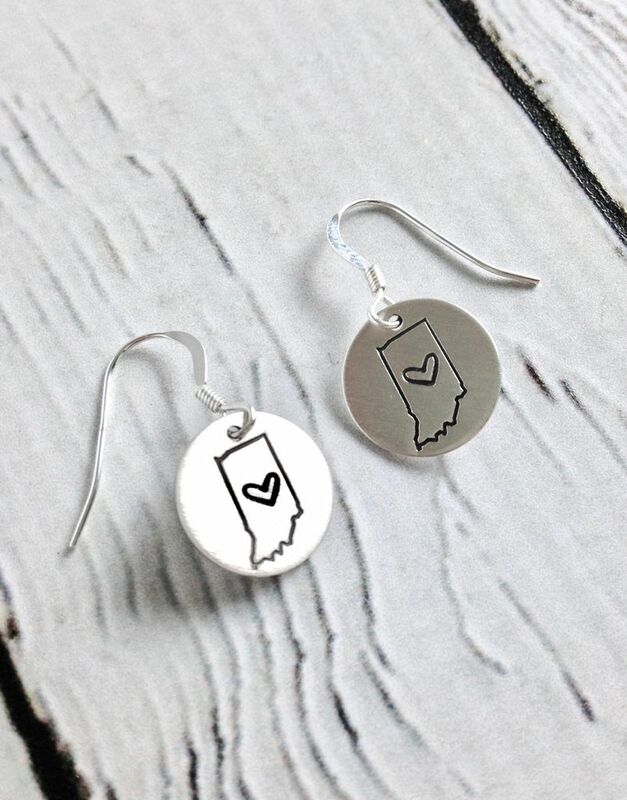 These earrings feature a domed circle with an Indiana and heart stamps. 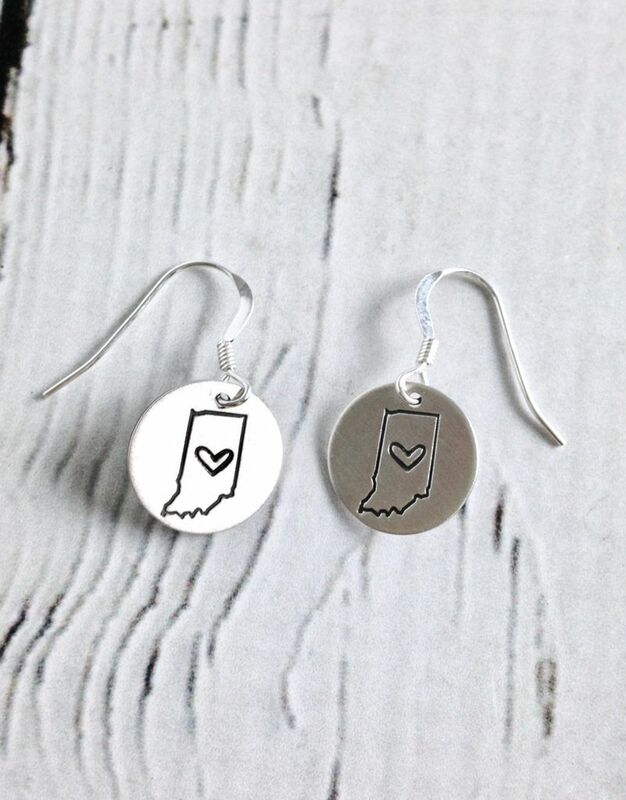 Earrings measures approximately .65” long. 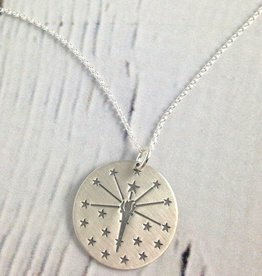 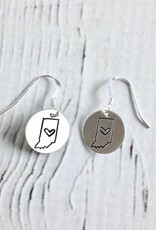 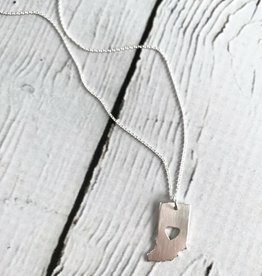 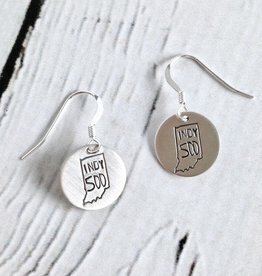 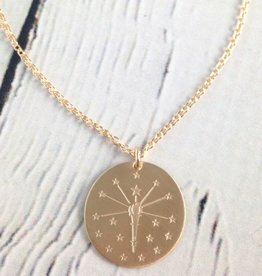 Made right here in Indianapolis by Twigs & Twine Jewelry.